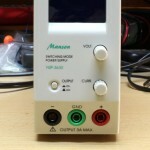 Converting ATX Power Supply to Lab Bench Power Supply F.A.Q. Sometimes selecting a switching mode power supply for your project is no easy task, but information provided here would get you started. 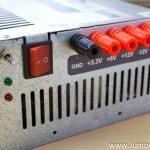 In this article I will tell you about most important things you need to know about switching mode power supplies (SMPS) (or just Switching Power Supplies – SPS). So, let’s begin! My Ultrasonic Cleaner that served me well for a couple of years, suddenly decided to quietly leave this world… And so I reverse-engineered it’s schematic! 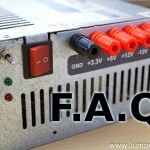 In this followup video I’ll show some problems that I encountered with my power supply from the previous tutorial video and will show you how I fixed those. It shows that even with the simplest project where “nothing can go wrong” you can’t predict every problem that could happen.